Which Avenger Had the Best Advice for Tom Holland on Infinity War Set? Avengers: Infinity War is the culmination of 10 years of the Marvel Cinematic Universe and many of the actors have been in numerous movies within that 10-year period. However, this is the third appearance for Tom Holland, plus he's younger than most of the cast. So, when asked which member of the giant cast gave him the best advice, Holland brought up Chris Hemsworth, which is surprising, because one would have thought that it would have been Robert Downey Jr., since the two have worked together on all 3 of Tom Holland's appearances. The question of advice is good for a young actor who looks up to his older cast mates who have been in the MCU longer than he/she has. And with Tom Holland, it was no different. When asked who gave him the best advice for Infinity War, the young actor thought for a moment and then revealed that it was Thor actor, Chris Hemsworth. He had this to say. "It would have to be RD--wait, actually, you know what? Hemsworth gave me some pretty good advice. He gave me some pretty good advice when I was really young. We made a film together (In the Heart of the Sea), years and years and years ago, (and he gave me advice) about work ethic and he's someone who works really, really hard. He's a great guy to get advice from." 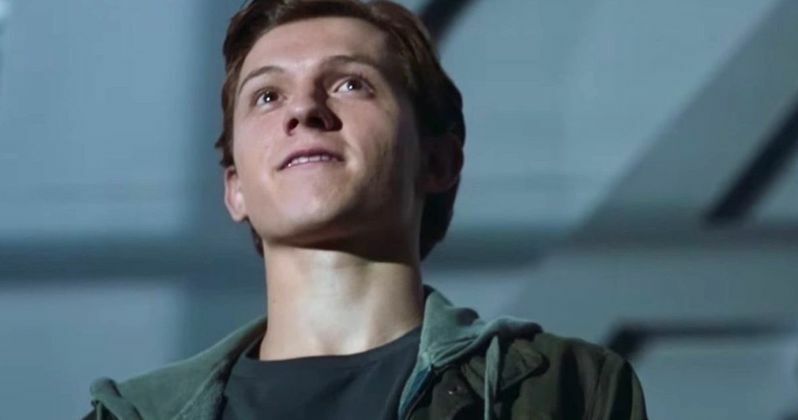 In a separate interview, Tom Holland talked about the changes that Peter Parker has gone through since Captain America: Civil War, and notes that the character is a little out of his depth in Infinity War, but that he will always try to do his best. Which actually sounds like all of the heroes set to be in Infinity War. It doesn't really seem like any of them are quite prepared to deal with the Mad Titan. Tom Holland also spoke about the Iron Spider costume that has shown up in some of the promotional material for Infinity War and some of its new features. The new costume made its debut at the end of Spider-Man: Homecoming and Peter Parker wasn't really ready to take it on at that time. However, times have changed with Thanos in town, and now he has to wear it. Fans have wondered about the "Instant Kill" function of the Iron Spider costume and Holland explains that it probably isn't what most fans think it is. He explains. "I don't actually think the Instant Kill function does what everyone thinks it does. I think it simply just shuts off electricity. I actually don't think it's a killing piece of tech. I don't think it is to murder people. I don't think Tony Stark's that dark." Infinity War is just about to hit theaters and Tom Holland should be commended for not spoiling anything so far. Holland has been known to leak sensitive material along with his co-star Mark Ruffalo. Both actors have done a great job, but that could be because the Russo Brothers haven't let any of the actors see the final cut of Infinity War yet. Tom Holland and Mark Ruffalo will have to wait for the world premiere in a little over a week. You can check out the rest of what Tom Holland had to say about advice from Chris Hemsworth below, thanks to the Kinowetter YouTube channel.